Antique sewing machine - Taylor's Crossbelt. 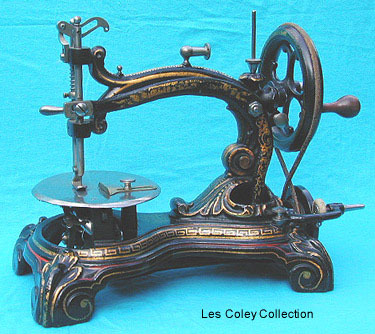 This highly ornate and heavily gilded domestic lockstitch machine was produced by William Taylor of Driffield, England in the 1870's. It features a crossbelt drive action for near-silent running.